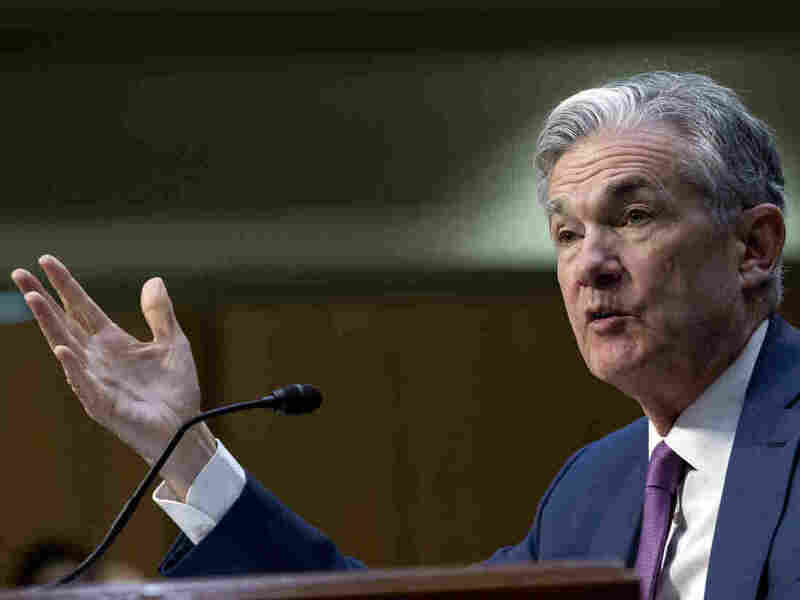 Fed's Powell Says A Long Trade War Could Hurt U.S. Economy A long trade war that results in higher, broader tariffs "will be bad for our economy and for other economies too," Federal Reserve Chairman Jerome Powell said at a Senate hearing Tuesday. Federal Reserve Board Chairman Jerome Powell faced questions before the Senate Banking Committee on Tuesday about the effects of President Trump's trade policies. A trade war with China, the European Union and other trading partners is casting some doubts about the U.S. economic future, Federal Reserve Chairman Jerome Powell said Tuesday. And the longer it goes, the more potential harm it could cause, Powell told the Senate Banking Committee at a hearing about the Fed's monetary policy and the economy. He said the central bank expects the economy to remain strong, but trade could complicate the Fed's forecasts. "... it is difficult to predict the ultimate outcome of current discussions over trade policy," he said in his prepared testimony. Later in the hearing, Powell said: "If it results in broader, higher tariffs across a broad range of traded goods or services that remain that way for a longer period of time, that will be bad for our economy and for other economies too." While senators' questions swirled around the unemployment rate, inflation, wages and the labor market among other things, one point of hot contention was the concern Americans have about a trade war's potential effects on the economy. He emphasized the uncertain nature of the Trump administration's current trade policy. "We don't know how this goes," Powell said. "This process we're in right now, the administration says it's going for broadly lower tariffs. If that happens, that's good for the economy. On the other hand, if we wind up with higher tariffs, then not so good." Ultimately, Sen. Heidi Heitkamp, D-N.D., cited a speech from former Fed Chairman Ben Bernanke in an attempt to get Powell to be more specific. Powell's reply was simple: "Assuming you're talking about them remaining in place over a sustained period of time. Absolutely."